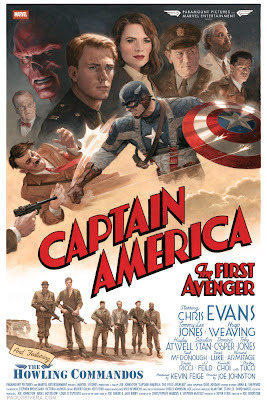 Witness Captain America doing what he does best (throwing a punch to Hitler) in an awesome retro-style poster and check out some other cool images from the film in our latest coverage on Marvel Studio's Captain America: The First Avenger. 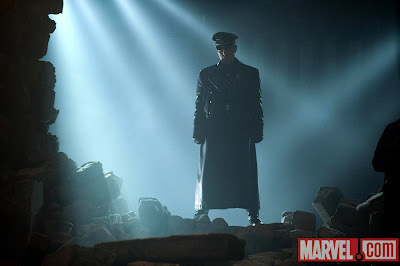 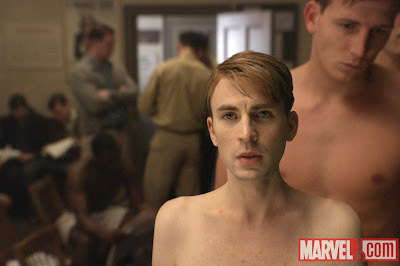 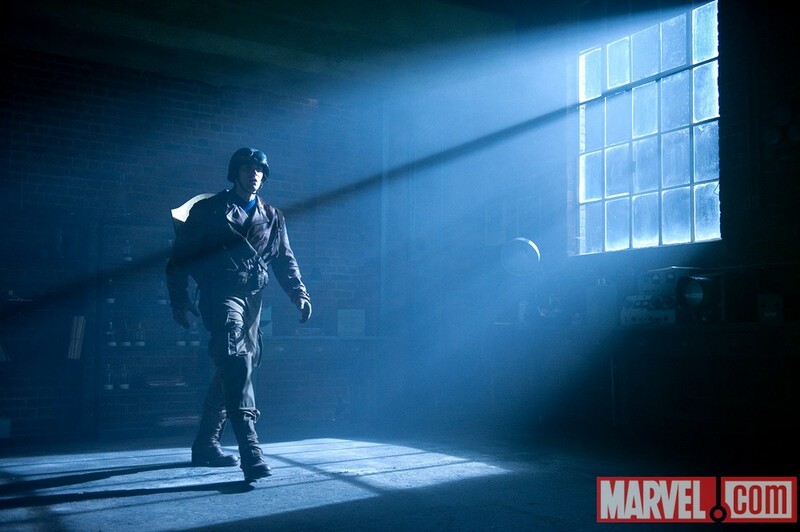 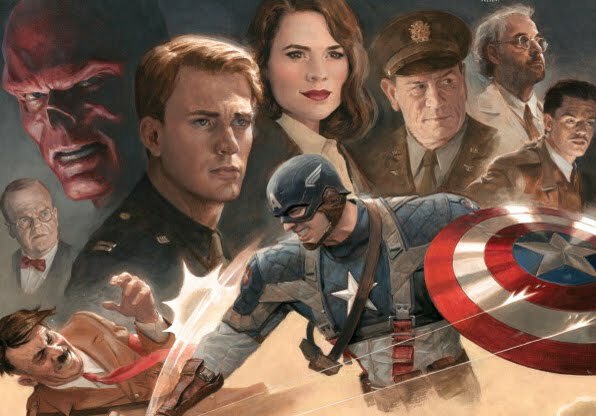 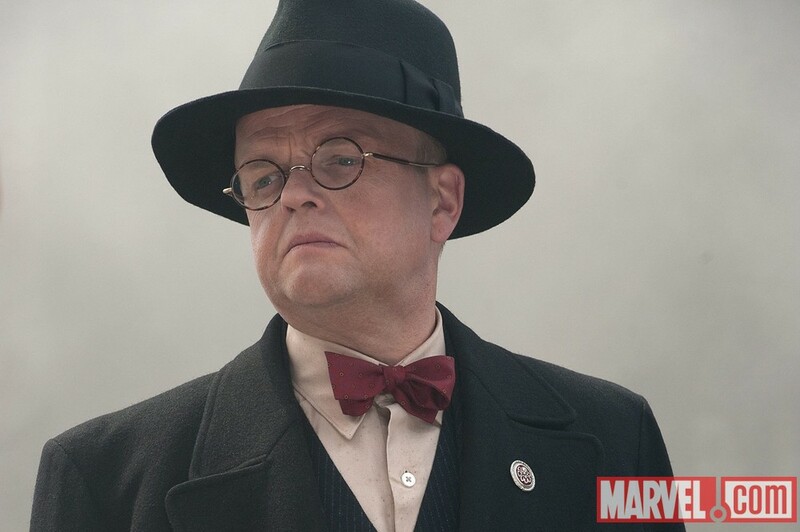 Captain America: The First Avenger is set to be released next month. 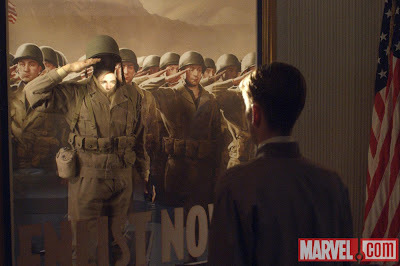 With the release of an awesome retro-style poster of the film, check out some other cool set pictures from the film. 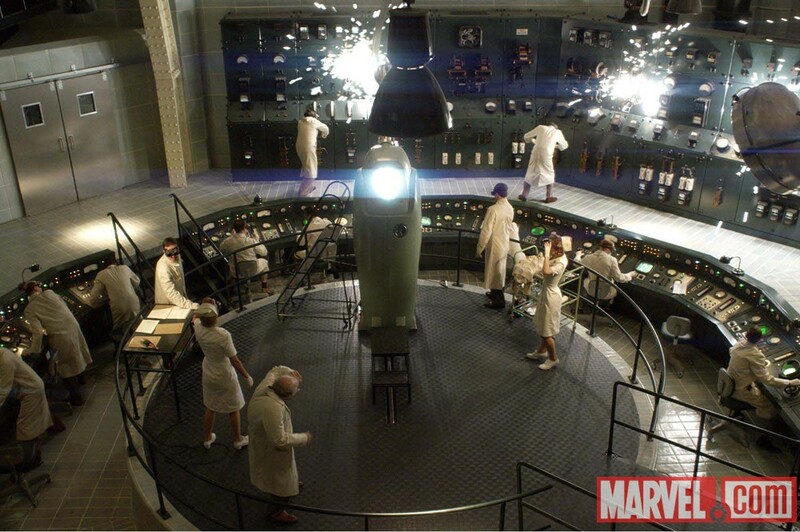 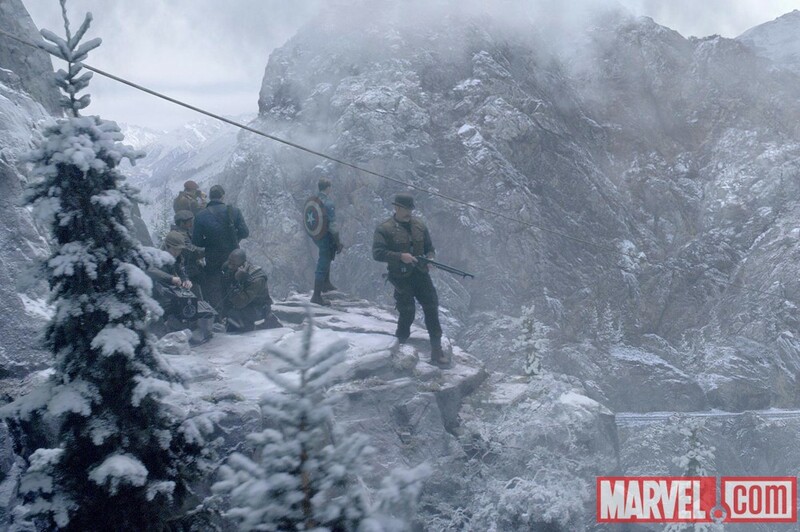 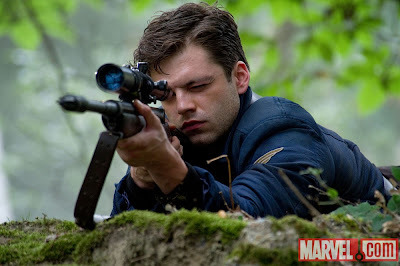 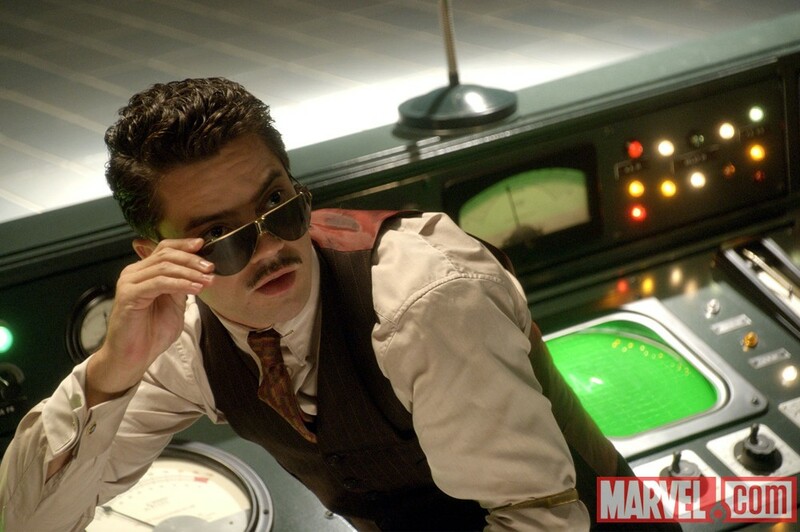 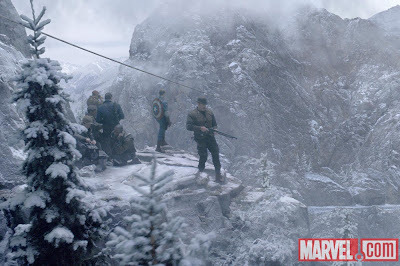 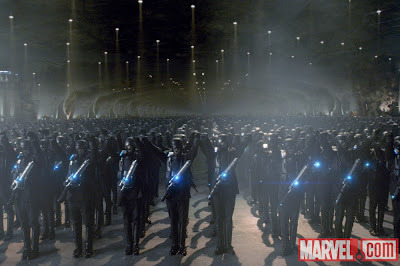 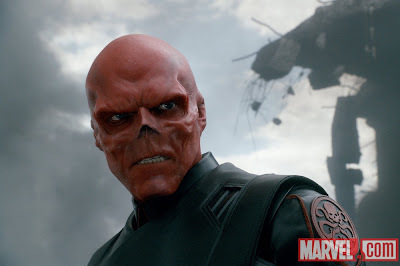 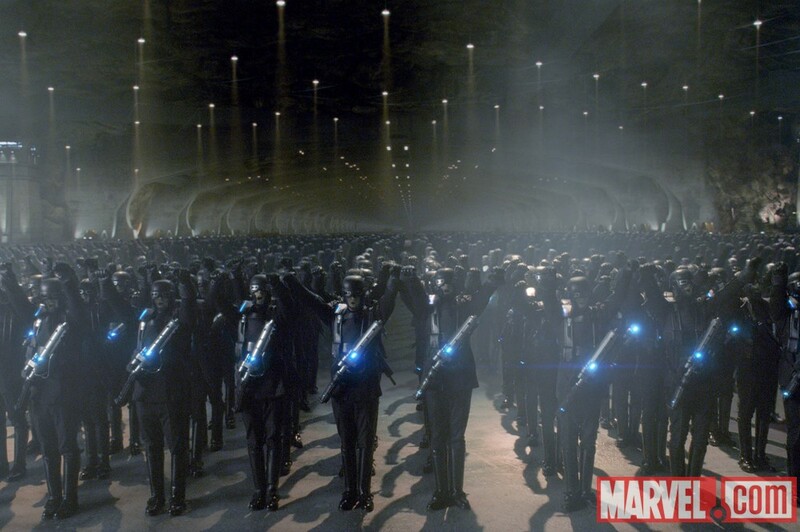 And here are the set pictures recently released by Marvel. 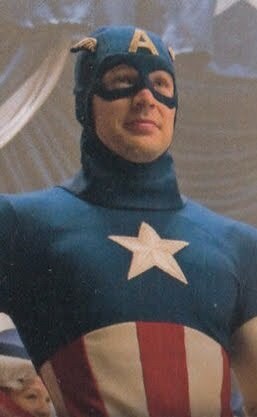 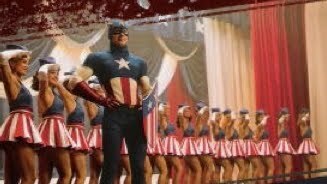 And here is a sneak peek at the intentionally goofy (not to mentioned god-awful ugly)) first outfit of Captain America in the movie, thanks to Coming Soon.net.